For other uses, see Moosomin (disambiguation). With the arrival of the Canadian Pacific Railway in 1882, Moosomin was established as the first Saskatchewan community on "steel". Originally known as "siding No. 4" and the "Moosomin Station", businesses began to establish and by 1884 the community had grown to include five general stores, five hotels, two livery stables, two blacksmiths, a doctor, a lawyer, butcher, and one printer, among other businesses. Moosomin was incorporated as a town in November 1887. R. D. McNaughton was the first merchant to arrive in Moosomin. He founded the R. D. McNaughton Company, a general store operation that played a vital role in early settlement. The town was named after Chief Moosomin, who became well known for leading his band into treaty status. He signed Treaty 6 at Battleford in 1880. Moosomin had several military units that were associated with the community. These included the 16th Light Horse, in the early 1900s (decade); 10th Regiment, Canadian Mounted Rifles, 1915; 217th Battalion, CEF, and the 101st Battery of the 22nd Field Regiment which was based at Moosomin Armories (presently the Community Hall). Moosomin also had a jail, the Moosomin Gaol, which is located at the site of the present day Turpie Farm. In 1905, a hospital opened, and it was the only hospital between Brandon and Indian Head. A normal school was opened, and before this time it served as the home of the Legislative Assembly for the District of Assiniboia. The first issue of the local newspaper was published October 2, 1884, and the Moosomin World-Spectator is the oldest weekly newspaper in Saskatchewan. One of Moosomin's more notables is General Andrew McNaughton, born in Moosomin in 1887. In the Second World War, he commanded Canada's overseas army and then became Minister of Defence. In the interwar years he was Chairman of the National Research Council and following the Second World War was Chairman of the International Joint Commission which handled questions pertaining to the international waters along the Canada-United States border. The social life of the early settlers of the area was limited by distances and transportation methods. Sunday church services were often held in private homes. The small one room school houses became the centre of activity in most areas. Saturday nights were often the social night of the week, when groceries and supplies were purchased. There was often entertainment in the Opera House in the R.D. McNaughton Store. Summer picnics were held in the period between summerfallowing and haying. July 1 in Moosomin was the highlight of the summer for many years, there would be a parade, sports events and refreshments. With the arrival of the automobile, social life changed accordingly. 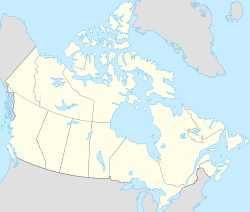 Moosomin grew significantly in the late 1960s and early 1970s with the construction of a major potash mine 22 miles (35 km) to the north. Moosomin is currently undergoing significant growth. According to Saskatchewan Health, which tracks population based on the number of health cards issued, there were 2,733 people living in Moosomin on June 30, 2010, up from 2,496 a year earlier, an increase of 227 people. The growth is due to several reasons. The PotashCorp Rocanville potash mine just north of the community is undergoing a $2.8 billion expansion, the $60 million Red Lily Wind Farm just west of the community started producing power in February 2011, since the Trans-Canada Highway was twinned through Moosomin in November 2009 several new businesses have been established along the highway, the Southeast Integrated Care Centre has become a major health care centre for a large region of southeastern Saskatchewan and southwestern Manitoba, and there has been significant activity in the local oil patch, which is at the northern end of the Bakken Formation. Several major projects are on the drawing board in Moosomin. Land has been purchased for two major hotel developments next to the Canalta Hotel, which opened in 2010 facing the new highway, and land has been purchased for Pipestone Villas, a major residential development. The Guess Who has a song called "Runnin' Back to Saskatoon"; it also mentions Moose Jaw and Moosomin. ^ National Archives, Archivia Net. "Post Offices and Postmasters". Retrieved 2014-07-15. ^ Government of Saskatchewan, MRD Home. [Official website "Municipal Directory System"] Check |url= value (help). Retrieved 2014-07-15. ^ Commissioner of Canada Elections, Chief Electoral Officer of Canada (2005). "Elections Canada On-line". Retrieved 2014-07-15. 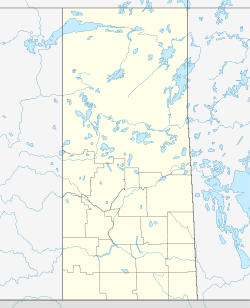 ^ a b c d "History of Moosomin". Town of Moosomin website. Retrieved 2010-09-10. ^ Adamson, Julia (16 Feb 2013). "Saskatchewan Roman Catholic Churches ~ Online Parish Registers ~ History". Saskatchewan Gen Web. Ancestry.com. Retrieved 2013-02-16. ^ "2011 Community Profiles". 2011 Canadian Census. Statistics Canada. July 5, 2013. Retrieved 2012-05-30. ^ "2006 Community Profiles". 2006 Canadian Census. Statistics Canada. March 30, 2011. Retrieved 2010-09-10. ^ "Runnin' Back to Saskatoon Lyrics". sing365.com. Retrieved 2010-09-10. ^ Colter Wall finds unexpected friendship with WWE star Brock Lesnar. Southwest Booster. October 27, 2015. "Wall hit the open road eastbound to visit Lesnar on his farm near Moosomin, Saskatchewan..." Retrieved November 3, 2015. Saskatchewan Roman Catholic Churches ~ Online Parish Registers ~ History >> Moosomin - Wapella. This page was last edited on 25 June 2018, at 23:06 (UTC).